We welcome you at Oshibori, thank you for coming along and enjoy your time with us, we are going to make sure every moment you spend at Oshibori is well worthy! (3pcs‎ ) ravioli - bok choy (Japanese cabbage), minced chicken breast. In Japanese food culture there are multiple food items which are normally sides but can be consumed as starters. Gyozas are little parcels (dumplings) filled with either chicken or just vegetables, carefully handmade, steamed and fried. Yakitori are skewered meat or prawns grilled and glazed with traditional sweet and salty yaki-tori sauce. Miso is a traditional little jar of soup - soy bean based, topped with spring onions, seaweed'`arid tofu. Edameme are steamed soy beans slightly salted. Goma wakame is a seaweed salad seasoned with sesame, absolutely refreshing! Great food and atmosphere. Will definitely be returning again ! Another out of this world meal at Oshibori. The beet caviar was so aesthetically pleasing it seemed a shame to eat it. But I am glad that I did as it was beyond delicious. We are very lucky in Dundee to have such a special restaurant. The food was decent quality but given the price tag the quantity was not a full main meal’s worth. The service took almost an hour and we had to ask for soy sauce. For a Sushi dish to come with no soy sauce is surprising. The decor looked lovely on the web page but was in fact quite shabby and the floor had piles of unswept dust under radiators. Wallpaper peeling in some places and Christmas decorations still up in March. As we left the restaurant my husband went to the bathroom and discovered it filthy. Had we gone there first we’d have about turned and left without eating. Very disappointing for somewhere with such a price tag. We were excited to try the vegan menu on the recommendation of several people and we were not disappointed! All of the dishes we had were delicious and filling. Excellent experience, especially for a special occasion. The food was excellent but we had a really long wait to get it! There was a large party in which i presume caused some delays in the kitchen. On the whole it is definitely worth a visit here as the food is excellent. Our booking was at 5.30 and as the doors didn't open until then and we got there a few minutes early, we spent a few confusing minutes wandering around looking for the way in. It's not the most obvious entrance, round the side of the building. The directions for the accessible entry led to a bell around the back so that was no help. Once inside though we were very impressed with the decor. The service was great too, and the staff were all happy to help. We were prepared for a wait since lots of reviews said that, but the courses came out pretty quickly. There was only 1 other table. We all loved the food and were happily stuffed by the end. Very happy birthday boy and family! Purely from the food and service perspective this was a nice experience, however, the room is a little tired and could do with an update and unfortunately a bit of dusting. The toilets are communal and this really let them down, more attention should be paid to this. The menu looked fantastic but the food was rather disappointing despite decent portion sizes. 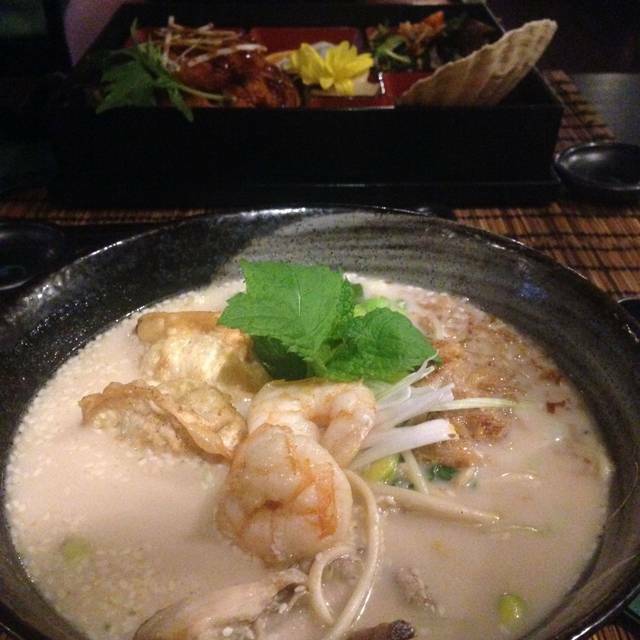 All dishes were drowning in fat and salt, lacked other flavours, and the ramen was basically 90% noodles with some mustard dressing. Worst of all was the waiting time for food and rather inattentive service. To be honest you will be better off buying M&S teste of Japan food selection for a fraction of the price and it's probably healthier too. Had a fabulous time on Valentine’s Day. Very tasty food and friendly service. Highly recommend. served another 10 minutes after. We would go back in the hope that they were just having a one off "bad day"
I marked the service down as a 3 star only because it was busy and I think they were under staffed. If you want to sit on a toliet for 2 days straight I’d recommend eating here, service was fine the food is a silent killer that sneaks up on the the next morning though. There will be clenching and running. Terrible, don’t bother with this place. In at 7pm, drinks order taken at 7.40 pm, nagged waitress to order food. Starter at 8.20, mains at 9.10...... no reason given....... just terrible. Food ok but not worth the price, especially when you roll in the utter lack of professional service. What a lovely dinner. From the moment we arrived, and were offered a spot at the traditional seating, or standard table and chairs, until we left after our meal, feeling happy and full up; it was a marvellous experience. The service was very good, attentive but not intrusive. The food itself - delicious! 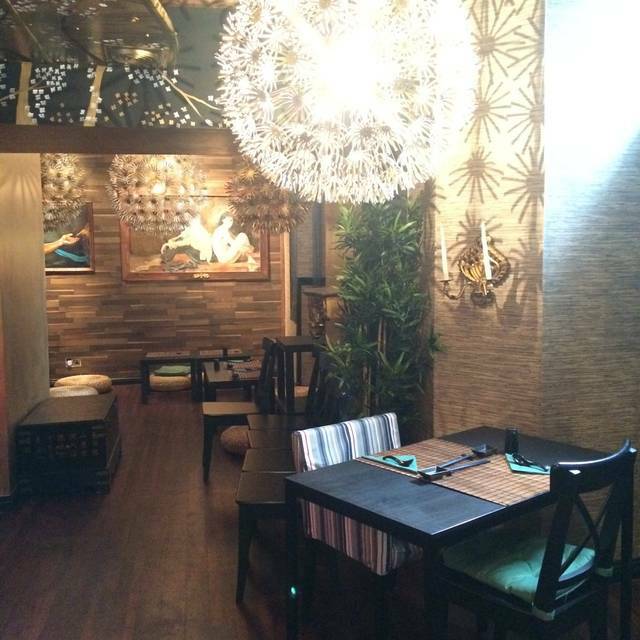 If you like Japanese cuisine, especially sushi, I would highly recommend this restaurant. I have only little experience of Japanese, but I loved it, and thoroughly enjoyed a couple of sake with my chicken Teri-yaki. Food was ok but very overpriced for what it was - have had much better meals for a fraction of the price. The golden beef main was chewy and fairly bland - definitely not worth £27. 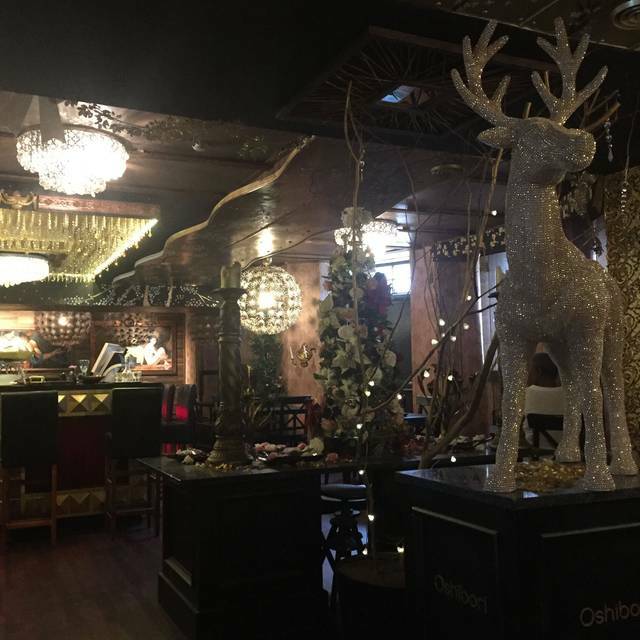 However the cocktails were nice, it does have a nice atmosphere and the staff were very attentive & helpful. Excellent tasty food but restaurant was very cold!! Oshiburi never fails to wow you. You wait a while for the food but that is only because everything is prepared fresh to order. This was a birthday treat for my partner and every dish was faultless and beautiful. This was our second visit to Oshibori. 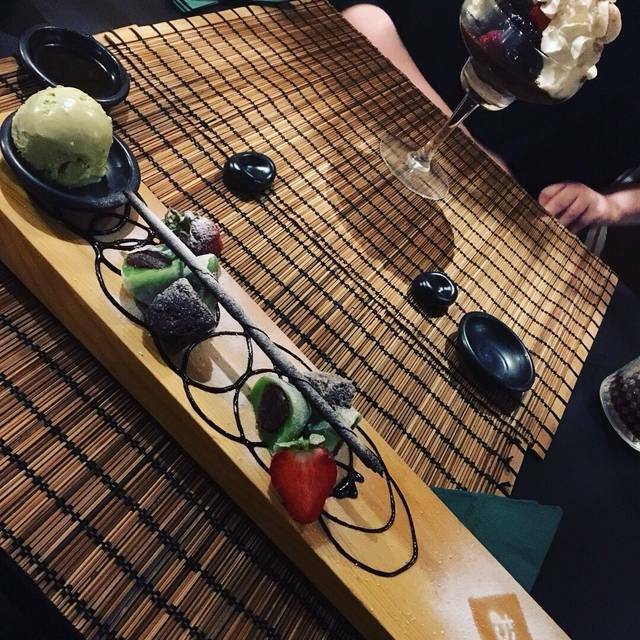 I think the first time we were wearing rose tinted glasses - it was the holidays and we were excited that we had found a sushi restaurant in Dundee! This second time we had a more real experience: we felt the restaurant was understaffed (only one waiter! ), the service (while friendly) was slow as a result, the washrooms were very smelly (also no soap in the men's despite asking for it), and the food and wine is very expensive for what you get - be prepared to spend a lot if you want to walk out feeling full. I had hoped this would become a place for those special occasions, but after this experience it won't be at Oshibori. Excellent authentic food and great service, would definitely recommend. Food was great, especially the gyozas, they were delicious. It was really quite cold though, everyone I was with thought so. Its a shame because it's quite difficult to relax when you're thinking about how cold you feel. Service not great, quite slow. Lunch menu is very good value for money. Ridiculously overpriced. £30 main courses. The food is below average. It looks better than it tastes. 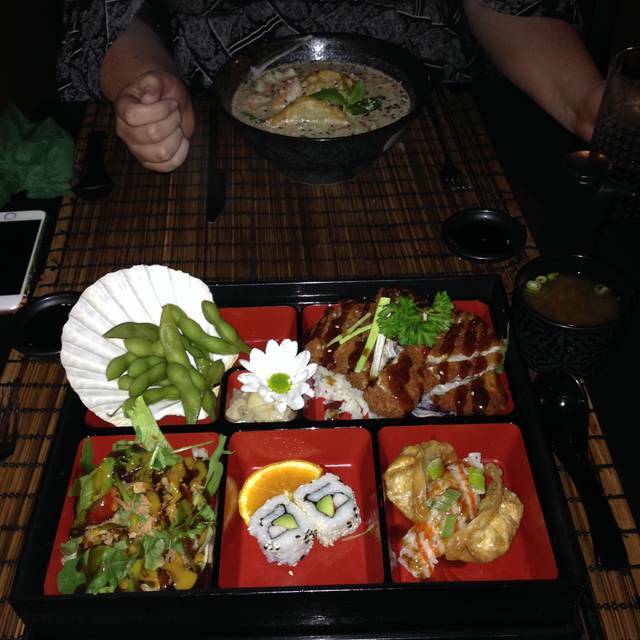 Second time dining at Oshibori, we ordered the exact same thing as we did prior to the last meal, the first meal we went at lunch time 2pm food was fast and enjoyable, bursting with flavour! Second time was date night we went at 8pm ordered the exact same thing it took 1hr 5mins to receive our starter, waiters excuse was that it was a chefs special baring in mind we have previously ordered this and received within 15mins. Starter was citrine roll to share, maim was 2 bento boxes the followed 10mins after we ate the starter. As much as the restaurant is beautifully authentic inside it can do with some ambience, music and candles on tables maybe change the mood lighting, there menu is quite costly however I cannot fault the food. 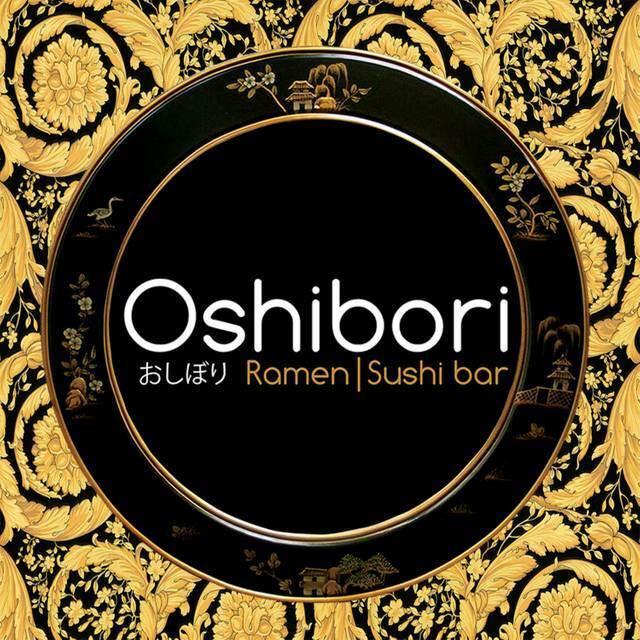 Oshibori is more of a fun experience rather than a restaurant you would choose to attend often. I also forgot to add in on receiving our drinks we asked for table water we did not receive it and then asked again the waiter brought it to us in record timing with no glasses we then asked for a glass and was told that they have no drinking glasses available! They also have no small change in the toll so I couldn’t leave a respectable tip. Waiters need to brush up on the menu too as the waiter we had, has no clue what things on the menu were, also did not know the Oshibori WiFi password. Food and service was amazing as always! Really loved the new vegan menu too- thanks so much! We went for our anniversary and the food was very good. Nice restaurant and quiet too. Easy to get to and nice undercover bit outside. would go again when in Dundee. Lovely food. I cannot eat Sushi but the other menus are really good. Service great. Gold reindeer amusing!! Sushi rice was over cooked and not seasoned properly. Miso soup was tasteless. Fish was not the freshest. Presentation was nice but I’d rather have more care with the actual food. Service was good though. Absolutely delicious. Couldn’t fault the quality of the food. If you like traditional Japanese cuisine. Go. 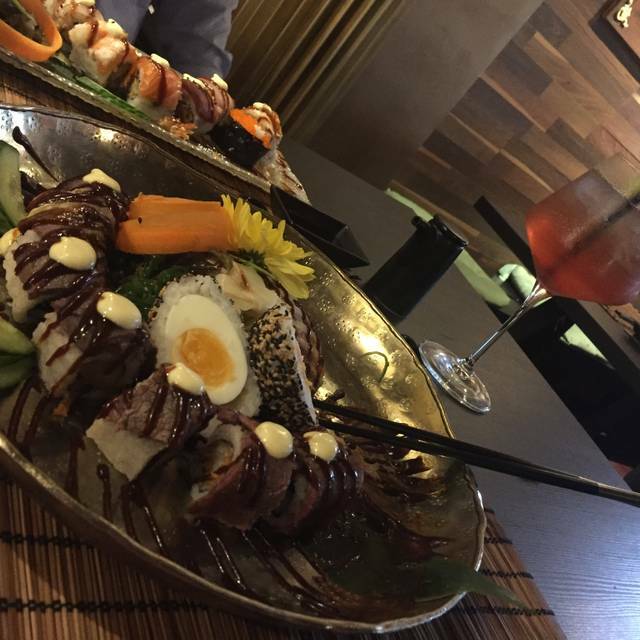 Went for a Birthday Meal, the food was great especially the sushi. A real hidden gem of a place, will be returning soon. 45 mins for starter to arrive...lukewarm but no one about to complain to so we nibbled and were half finished before waitress was available..we could have searched I suppose. Main dishes also slow to arrive but were hot and plentiful but not authentic Japanese fare....plates were not lifted for 20 mins after clearly finished... will not be back. 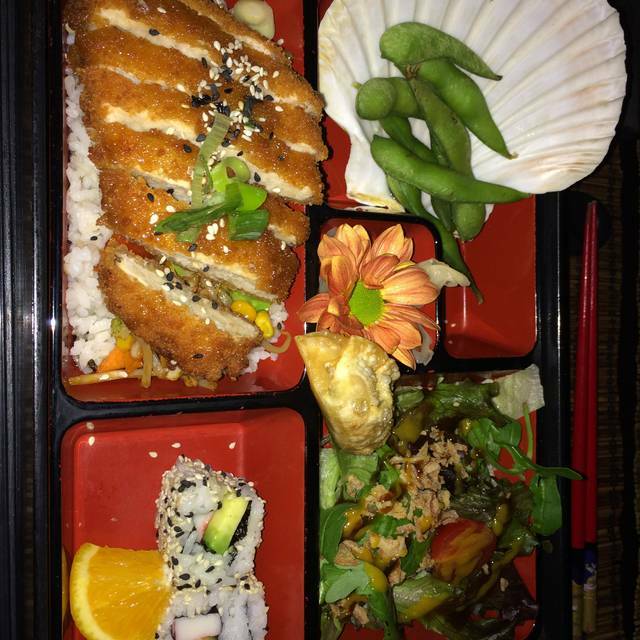 Wonderful food & great service! Will most certainly return! Excellent food and fantastic service. The portion sizes were huge and none of us managed two courses, but everything was beautifully prepared and presented, and the service was efficient and polite. 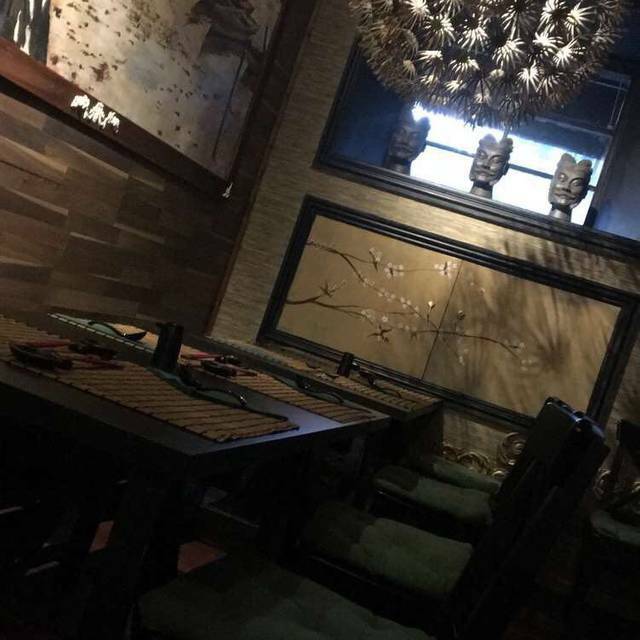 The ambience of the restaurant was really good. The food was tasty and well seasoned that would make your mouth water, however, we've waited for almost 30 mins for someone to notice that we were still waiting to be served. The food took a bit long to arrive.